Remember that I blog about this post two months ago? Here's the link in case you guys forgot. 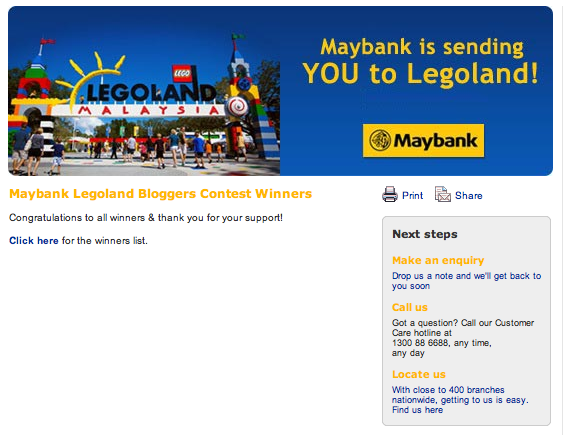 I am one of the winners who won a pair of Day Passes to Legoland Malaysia! Yay! I am planning to go with my sis at the end of the year together with my bro and sis-in-law. Teehee.